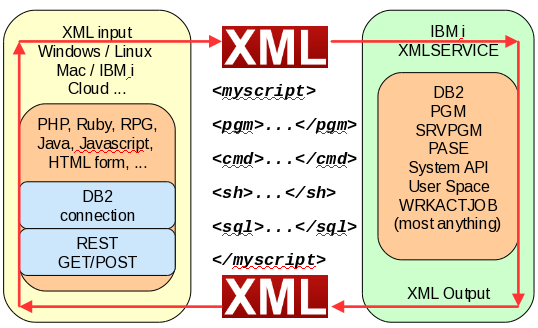 XMLSERVICE is a single library of Open Source RPG code that enables XML scripting calls of System i resources using most any language available on your platform. XMLSERVICE RPG server library does not require other language products to run on your IBM i, however language teams often provide a language wrapper client toolkit to greatly simplify XML calls to XMLSERVICE (Zend Server, PowerRuby). XMLSERVICE is not a general purpose XML parser (XML-INTO, Sax), instead XMLSERVICE is a xml service protocol allowing nearly anything on IBM i to be a xml document callable web service (CMD, PGM, SRVPGM, System API, PASE utility, DB2, etc.). XMLSERVICE is called by many new PASE languages toolkits, therefore dealing with country CCSIDs becomes much more the responsibility of the script writer. 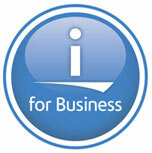 Please see this CCSID link to get started if you are having issues ILE and PASE CCSIDs (65535 story and more).